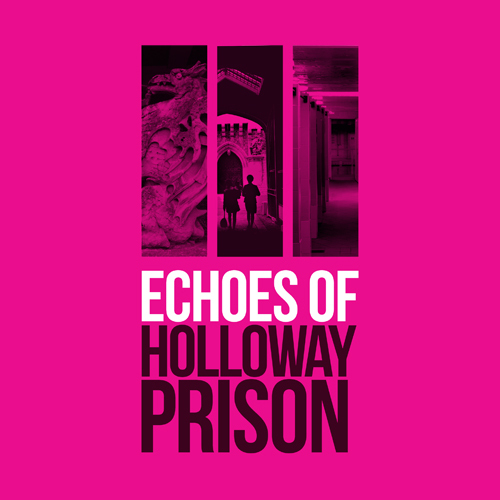 Volunteer Rachel Job writes about her experience supporting the installation of the Echoes of Holloway Prison Exhibition at Islington Museum. On 12 July 2018 it was all hands on deck to get the Echoes of Holloway Prison Exhibition installed. There was a real buzz in the Museum as staff, volunteers and work placement students worked together to get ready for the private view that evening. I helped to frame some of the artworks and posters, ready for them to be put up on the wall. While staff installed objects and artworks in display cases and on the walls, I and other volunteers turned our attention to the captions which were to go alongside them. These had to be formatted correctly on the computer, printed out, and then installed in their frames and put on display. In the corridor next to the exhibition space, I worked with another work placement student to install photographs taken by Roz Currie, following the closure of Holloway Prison. The idea here was to create an impression of the bleak space of the derelict prison. My final task of the day was to mount two small objects onto Plastazote (foam board) using strips of Melinex (clear plastic sheets). This then allowed me to put the objects on the wall without doing any damage to them. Looking around at 5 o’clock it was amazing to see how we’d transformed the space. The exhibition was ready and opened to the public the following day. Young People’s Art Workshop: Who is Criminal Now?